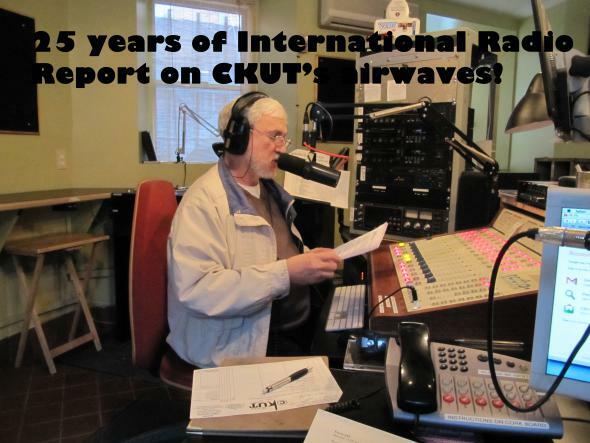 Turn your dials to CKUT this Sunday, November 18th (10:30-11:30AM) for a one hour special with the International Radio Report. The International Radio Report is, like the station itself, celebrating its 25th Anniversary this year! Special guests in studio will include David Asselin, Alan Roberts and many others who have helped shape the show’s history over the past quarter century. They’ll be looking back at the beginnings of the show and sharing a unique cassette recording (old school!) of the very first International Radio Report show produced back in 1987!